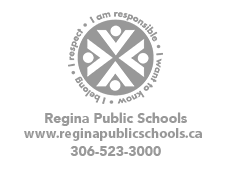 Regina Public Schools' Board of Trustees are elected through a public vote, held every four years, now on the second Monday of November (implemented October 31, 2018). The next general election will be held on Monday, November 9, 2020. Board members are elected on the basis of seven subdivisions. These subdivisions are not the same as the wards for electing city councillors. You can see the subdivision map here. Under the subdivision system, each elector votes for only one candidate from the list of those candidates seeking election in the subdivision in which the elector in running. The Board of Education will be comprised of the winning candidates from each subdivision. The Returning Officer is the person responsible for running the election. If you have any questions or would like more information about school board elections in general, the Elections Regina contact information will be posted here closer to the 2020 election date. Information and links from the Regina Board of Education, the Saskatchewan School Boards Association and Elections Regina for candidates interested in seeking election to the Regina Public School Board will be available here closer to the 2020 election date. Nomination papers and related information will be available from Elections Regina closer to the 2020 election date. Thank you for expressing interest in public education in Regina.